Pasta Dinner : Bid or Volunteer! In this month’s ABC book, “Recess Queen”, by Alexis O’Neill , Mean Jean the “recess queen” rules the playground with an iron fist. No one dares cross her path for fear of being hit, punched, or kicked. One day, a new girl shows up on the playground and catches Mean Jean completely off guard. Katie Sue is not the least bit intimidated by Mean Jean. Katie Sue actually invites Jean to join in a jump rope game! In no time, Jean and Katie Sue become friends. Empower students to use their skills as UPstanders to create a safe and caring climate on the school playground. Practice using conflict resolution skills. Use the ABC student toolbox of techniques practiced all year in our ABC Lessons. Demonstrate a connection between student’s online and face to face community.  Help them identify the conflict.  Without interruption, have each person describe briefly what happened.  Use empathetic listening. No judging, just listening. A. I feel ______ when ______because ______. B. I feel ______ when ______because ______.  Help children repeat and refine their statements until tension from the misunderstanding or conflict subsides.  Celebrate the successful resolution of conflicts and acknowledge the compromise each person made so that the solution would work! When you “catch” kids modeling positive behaviors… Notice, Name it, and Celebrate it! Discounted presale tickets are available online from now through May 17. Latest volunteer update: We need more parent help running games, especially from 5 – 6 and 7 – 8. No experience necessary. Please consider volunteering! We also need ice for the drinks. If you think you can help out, please sign up. Do you love our school & PTA? Please complete this short survey by Friday May 26. Your feedback helps us improve, and also provides the needed data for us to apply for awards and grants to benefit Henry Ford. Thanks in advance! Ring video doorbells and perimeter cameras are highly recommended by the Redwood City Police Department. 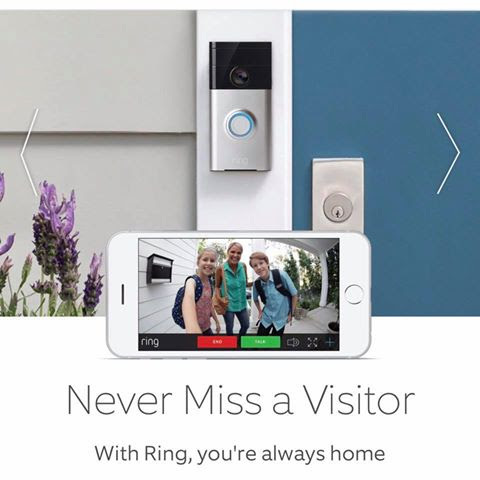 Ring is offering $25 off a device to friends & family of Henry Ford Elementary. For every one of your purchases, they will also give $25 to our PTA. Just enter promo code 6503682981 at checkout. Only good through the end of this month, so act quickly! Curious about how your tax dollars are being spent and how they will impact Redwood City? Get involved and learn about the improvements planned for RCSD school sites through Measure T funds. Most projects won’t impact our school for 7+ years, but you’ll be a Henry Ford neighbor long after your Mustangs move on to being proud alums. Quick Start projects begin this summer! Rumors are that Henry Ford may receive sun shades for lunch areas but information has not yet been published. Please reach out to RCSD office and school board members to confirm final details and ensure that Henry Ford teachers & students receive immediate, adequate sun protection from Redwood City’s Climate Best.